Rizal is a neighbor province of Metro Manila; very accessible for commuters. 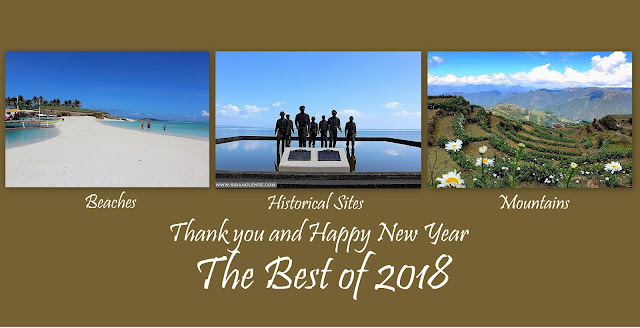 Aside from Maytime Festival, kasuy and their local delicacies, they are also well known about their resorts with a gorgeous Manila golden skyline, others call it "overlooking." So, if you're planning to visit the City of Antipolo and looking for a place to stay, Cattleya Resort is a perfect place for you. This time, it is not about history and backpacking; I was invited to join a team building with more than 20 participants. Since an invitation came from friends, who am I to reject them, right? Masakit kaya ma-reject nang paulit-ulit. So, from BGC, first part was overcoming the slow moving traffic on the streets because it's Friday. Second, it's after work so our katawang lupa's were already tired and most of us were sleepy. We got Isabel swimming pool, one of the best spots in Cattleya Resort because it is facing the vibrant lights of the metro. I love the ambiance here; the breeze is cool, the air is fresh, everything is calm, and has a home-y feeling. The area is also surrounded by plants with an artistic landscape and the pool has a unique shape filled with crystal clear waters. The sound of the lashing water on the pool added a relaxing feeling during our stay. Our check in time was around 7PM. While waiting for the others, we started exploring what this private resort can offer. We walked on the streets looking for sari-sari stores by the gate and the area is secured. I think the area is designed as residential then the houses were converted into resorts with swimming pools and other facilities. Not sure about it, feeling ko lang, minsan mahilig lang talaga ako gumawa ng kwento. Pero feeling ko talaga residential eh. What I really love about Antipolo, aside from the transportation, is its geographical location. It is situated on a higher point with a gorgeous over looking. If the weather is good and you're into star gazing, you can definitely catch a photo with a stunning skyline of the Metro. Also, the sky sets a perfect backdrop as it showcases a golden light, perfect spot to reminisce your past and plan for a happy future. When the others arrived, with our supplies, "they" started preparing for our late dinner. Napansin nyo ba yung: "they?" as in most of them were busy but some of us were like mayodoma - making utos, making tikim the putahe that they were cooking, and then providing our recommendations and suggestions about what they can improve with their cooking. I was like Cris Aquino talaga! Anyways, next part was the best part - dinner! A lot of food choices were served on the table; first, the fresh grilled milkfish and liempo marinated in a special sauce with herbs and spices. For our side-dish: fresh eggplant suited in olive oil and served with red tomatoes, a plain fragrant rice harvested by the farmers in Nueva Ecija, virgin chicken adobo in a casserole, and many others nalang, hirap gumawa ng menu. After dinner, the remarkable games and socials. What happened during socials? Next question please. After the rain shower, early in the morning, the breeze became colder and the crystalline dew were dropping as the cold wind blows the leaves of the trees and plants. While the others were sleeping and we were preparing our sumptuous breakfast, we had more time to do chika about different things in the world, the universe rather! What happened in the evening is comparable to a bomb explosion in Hiroshima, Japan - that's all I can say. Cattleya Resort is a suitable accommodation for a family gathering, team building, and other events that need privacy. Local ordinances like too much loud videoke should be followed. Security personnel roaming around the resort and checking every houses is outstanding. From Cubao and other point on EDSA, you can ride a jeepney or FX bound for Antipolo and alight by the Shopwise's entrance. Then, ride a tricycle to Cattleya Resort. Tricycle fare is 50 pesos for special trip.